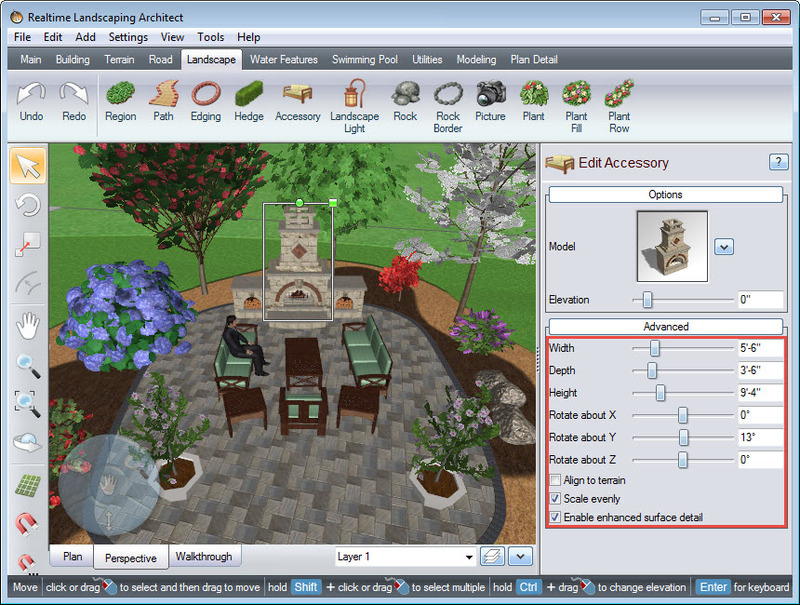 This guide will show you how to add an accessory to your landscape design. For the purpose of this guide, we shall be adding an outdoor fireplace. 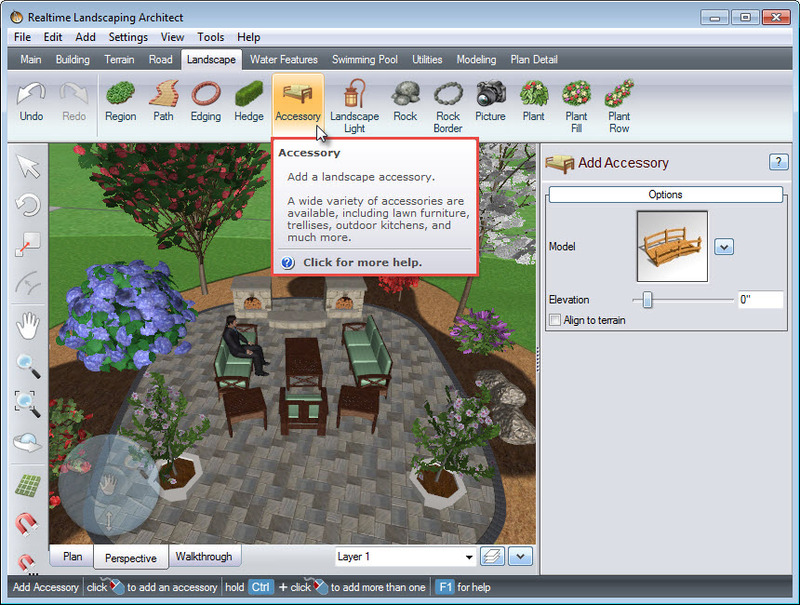 To get started, click the Landscape tab, then click the Accessory button. 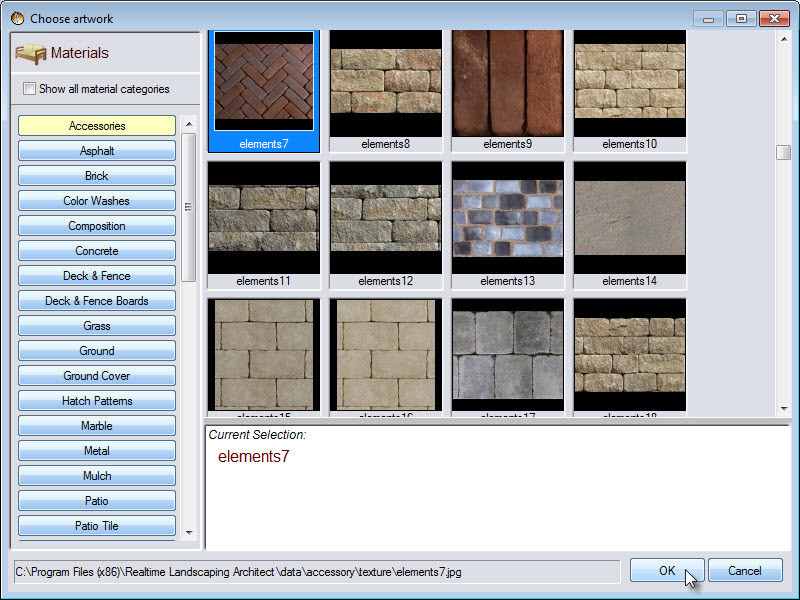 Click on the model image, seen below, and it will take you to a variety of accessories. 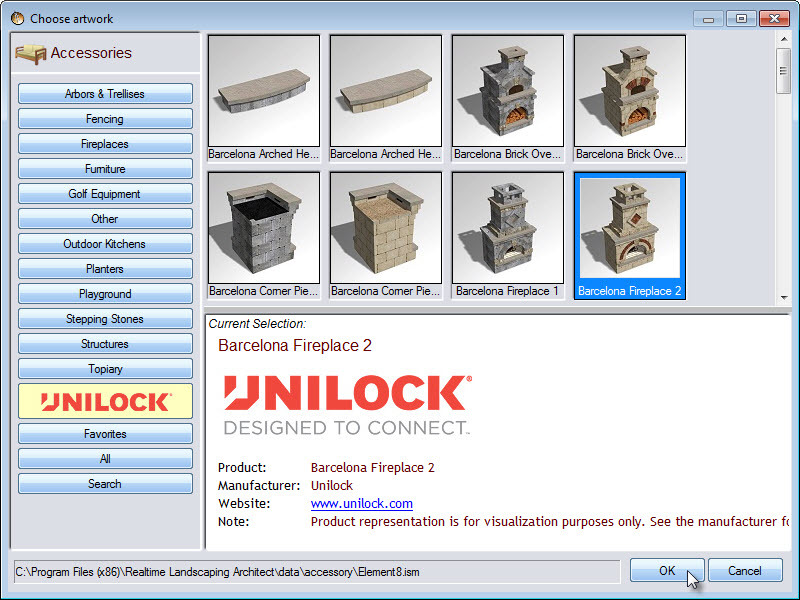 A dialog box will appear with over 1,000 different accessories, including some from National brand Unilock. 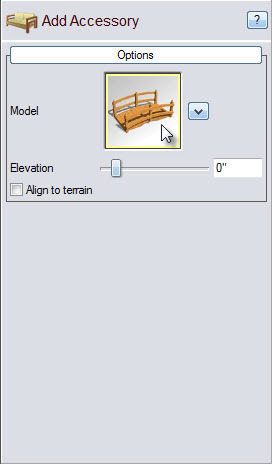 Select your desired item, and then click OK.
Left click to place the accessory in your landscape. To scale your accessory, Left click and hold the green box found at the corner of your selection. To rotate, do the same with the green circle. You can also use the advanced options seen below. 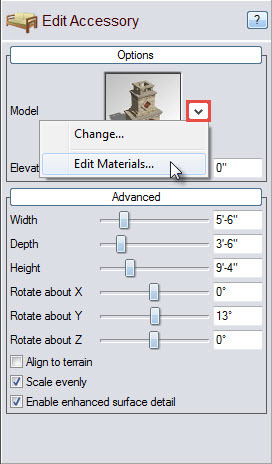 To create a custom style, Left click the arrow seen below and then click Edit materials. Select which portion of the item you wish to customize. Click the down arrow and select Change. 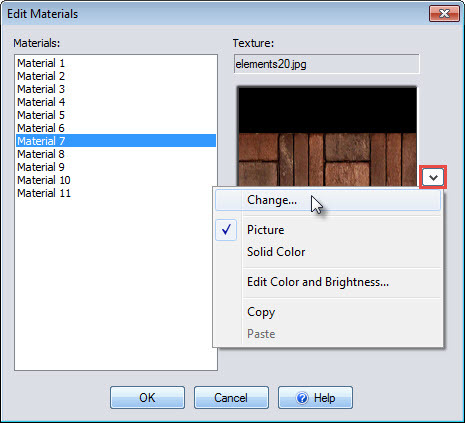 Choose the desired material, and click OK. Then click OK again to complete this step. 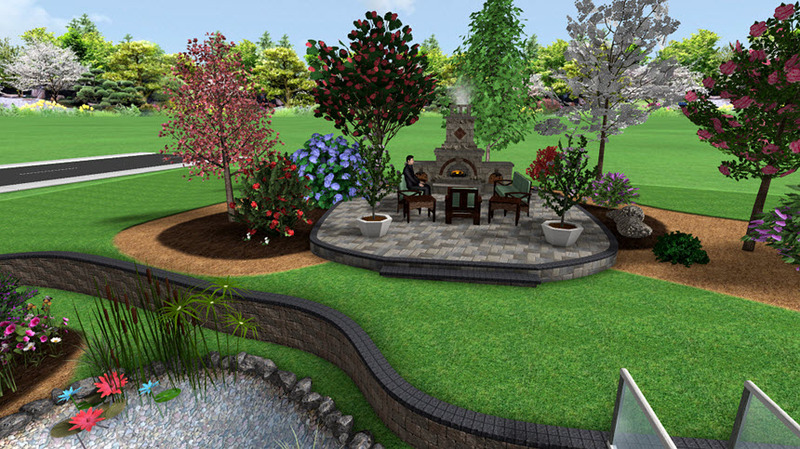 You have now successfully added an outdoor fireplace to your landscape design.